Sunday School classes begin for the year on September 10th at 9:00 a.m. Preschool, Kindergarten and First Grade will be in class together upstairs with Dianne and Kathy as their teachers. Second through Fifth Grade class will be in the large downstairs classroom and will be taught by Debbie and Tracy. The ‘tweens and teens (Sixth through Twelfth grade) will be upstairs in the youth room and Alice and Lois will be teaching their class. All classes will once again be studying with the Grow, Proclaim, Serve curriculum that we have been using for several years. An Adult class meets in the Collis room at the same time on Sunday morning as the children’s Sunday School. More details soon about Adult classes this fall. This past year and for the upcoming school year our Sunday School has supported Heifer International. Each fourth Sunday the children’s offering goes to Heifer along with the proceeds from special fundraisers that we might hold. 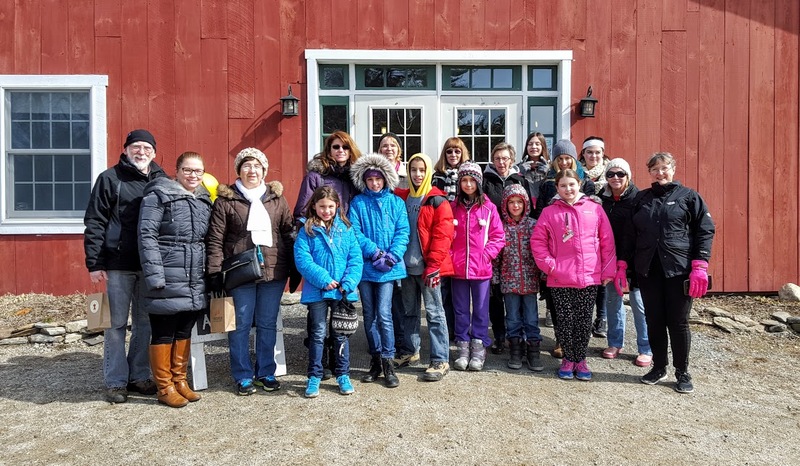 Heifer International has a learning center/farm in Rutland MA and we enjoyed making a couple of trips there to visit the animals and the Global Village (and even had pancakes this spring).